Gozu first appeared on the scene in 2009 with the release of their seven track EP. Consisting of members of bands such as Wargasm and Clouds. Gozu lay down the rock but also bring soul on songs such as the human-empowerment anthem “Rise Up” and D.A.R.E.-baiting “Meth Cowboy.” Fronted by Marc Gaffney, aka Gaff, who has the pipes Chris Cornell used to possess before he started modeling men’s cologne, Gozu plays the sort of music tailor-made to be blasted out on radio airwaves nationwide, ala early Queens of the Stone Age. It’s the kind of music that pulls up alongside you while you’re walking down the street minding your own business, demands that you “get in the f@*ing car,” proceeds to drive 90 mph down the wrong side of the highway, and then drops you off miles from home at some abandoned rest stop. After a line-up change which brought on board bassist Jay Cannava of Miltown and Clouds infamy, Gozu continues to chug along at its own pace. 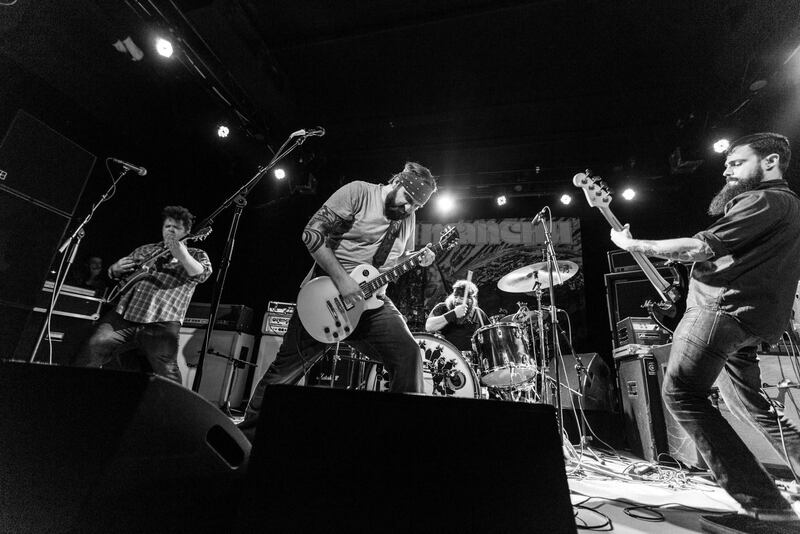 Small Stone Records snapped up Gozu in 2009 and they released their critically acclaimed album “Locust Season.” Gozu spent the next year touring the Northeast with bands like St. Vitus, Pallbearer, Fu Manchu, Helmet, Mos Generator, Elder, Lo Pan, Church of Misery and Storm of Light. 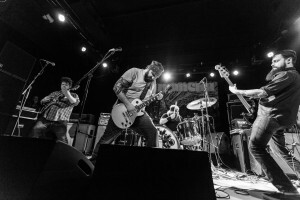 Following the success of Locust Season in 2010, Gozu returned to Mad Oak Studios and The Bridge Sound and Stage in 2013 to record their second full length album “The Fury of a Patient Man.” Fury sees Gozu still driven by Gaff’s melted butter melodies and Doug’s ultra-thick riffs, but the scope has expanded, and whether it’s the 24-minute deconstructed jam of “The Ceaseless Thunder Of Surf” or the High on Fire-style gallop of “Charles Bronson Pinchot,” the band have opened up new musical avenues. Joined by bassist Joe Grotto (Motherboar), they headlined Small Stone’s Boston Showcase in the fall and proved to all in attendance that Locust Season was no fluke and that their finest hour still lay ahead. The Fury of a Patient Man rages, but Gozu remain in total control and the album is stronger for it, the band proving yet again that those who cry about the death of rock and roll simply aren’t paying close enough attention. 2014 the band added Warhorse (Southern Lord) drummer Mike Hubbard to the mix. With the key members in tact, Gozu embarked ontheir first European tour playing the Holy Grail of festivals Roadburn and Dessert Fest with Church of Misery and Kvelertak. In 2015, Gozu headed into Wild Arctic studio and recorded their third album. However, it is their first album on their new label, Ripple Music. The foursome are incredibly excited to work with Todd Severin and his amazing stable of high octane bands.